Wonderful music to practice and perform. Inspired by Carl Czerny’s transcription of this sonata originally for violin, this new version utilizes the advancements in cello technique today that were impossible during Beethoven’s lifetime. 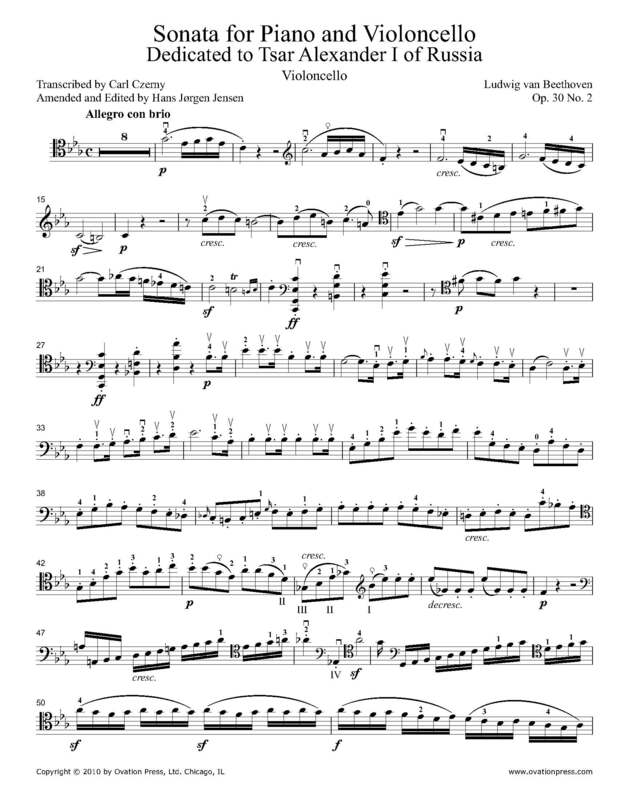 Many of the passages where Czerny made short cuts have been restored to more closely resemble the original violin score. The Violin Sonata No. 7 in c-minor was composed between 1801 and 1802 as the second of Beethoven's Op. 30 and published in May 1803 with a dedication to Czar Alexander I of Russia.